Previous experience in moving and driving cargo vans/cube trucks an asset, but not a requirement. Full training will be provided for the right candidates. 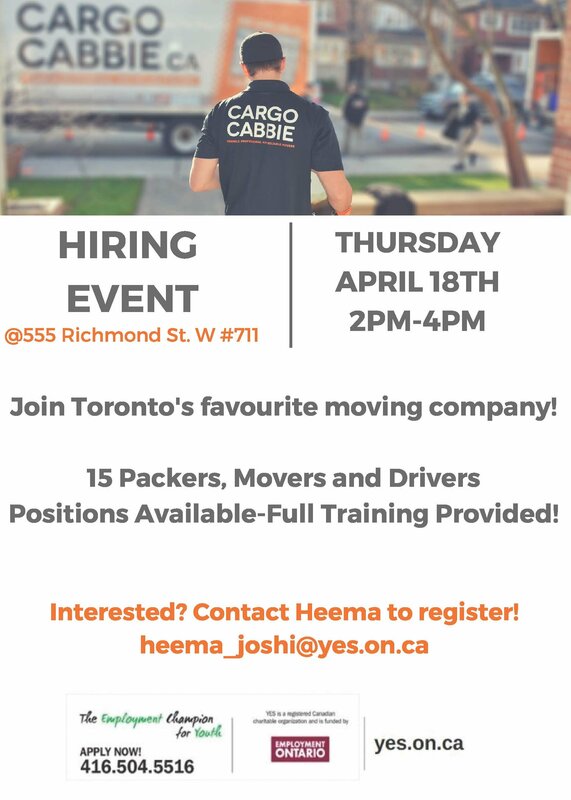 Email Heema at heema_joshi@yes.on.ca to register for this event!